Research your problem, write a hypothesis, and conduct experiments. Use "Team Talk" to meet with your team online or ask a CyberGuide questions. Log on to our Discussion Forums to talk to other competing teams or our CyberGuides in over 100 different topics from how to get started to how to grow green algae! Answer ALL of the questions in your Mission Folder, and attach files such as photographs, survey questions, or even your own website. Use CyberGuides who are who are experts in Science, Technology, Engineering, and Mathematics careers to help you with your project. Follow the links in the Mission Folder to resources like Help and Team Talk. At the end of the competition, teams will submit their Mission Folder to be eligible for awards. 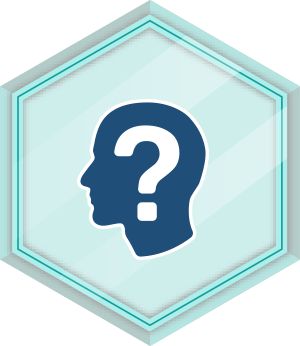 Use of "Scientific Inquiry Using Scientific Practices" or "Engineering Design Process"
For all students who successfully complete the requirements of participation in eCYBERMISSION at any grade level. 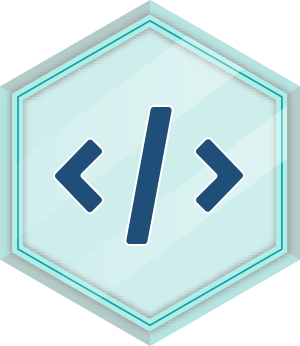 This badge demonstrates expertise in writing and compiling code to solve challenges using any available computer language. 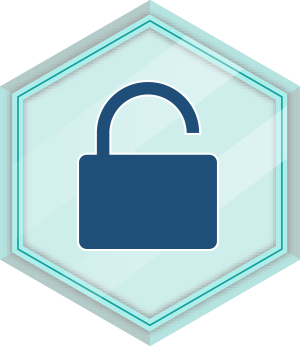 This badge demonstrates expertise in understanding and implementing computer science principles related to cryptography, hacking, and internet security.